As an Executry Law firm in Edinburgh inheritance tax planning trusts is an area that we really like to get our expert lawyers involved in. People think of Inheritance tax as a tax which might be due at the time of your death, however it is also a tax which may also be due on certain transactions during your lifetime as well. Our Edinburgh lawyers are here to advice on any inheritance tax planning trusts which may help reduce the tax that you pay when leaving what you have worked for all your life to your family and friends. Inheritance tax planning trusts – What are they? Making gifts from your estate during your lifetime, using trusts to hold assets, transferring assets to your spouse or civil partner, investing in IHT efficient investments or simply preparing a will. 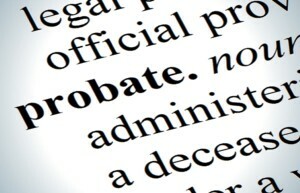 The rate of tax due on assets upon death is 40% and we will work with our clients to reduce this, where possible. In most cases inheritance tax cannot be avoided which is why things such as life cover should be in place to help your beneficiaries pay the tax. We are here to provide you with the very best advice on your current position starting with finding out about your current assets and what you would like to do with them. We will make certain that you have a clear view on what a potential inheritance tax liability will be and engage with you to put in place the very best inheritance tax planning trusts suited to your particular circumstances. We will support and advice you through the whole process, this can be done over a short period, or through a longer-term plan. As a company we believe the best outcome in inheritance tax planning trusts should involve expertise from lawyers such as ourselves. We have financial advisors and tax specialists waiting to give advice and put inheritance tax planning trusts in place. We can give expert advice on everything that you will need without you having to look elsewhere. Our fees are based on us having a proper understanding of your individual circumstances and what we will need to do for you. Which is why we will not offer a headline grabbing fee quote, which we don’t then deliver on. Our approach is to firstly arrange a meeting with you and to establish your objectives. We will review your current assets, succession planning and your tax situation. After we have gathered all the information we need we will advise on the very best inheritance tax planning trusts and a fee quote. So why don’t you get in touch today?